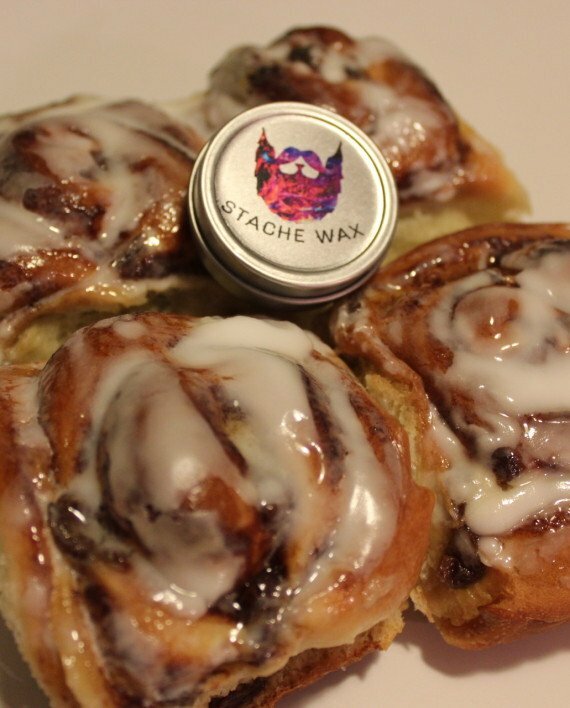 I have been using Universal Beard ‘Cedar Cinnamon Roll’ Moustache Wax. If you have a beard of any length past short you will know the struggle of controlling your moustache, you can keep combing it but as soon as you take a bite of food, you are eating the moustache as well and its not easy to keep it looking good. This is where a good moustache wax comes into play, a beard balm or oil will give your beard hold but your moustache needs something to keep it in place better and moustache wax is the perfect solution. I have used a wax before from 2 the Nines but I didn’t really like using it because you take a small amount of wax and your meant to work it between forefinger and thumb but I struggled to get it to a point where it was ready to be applied. The wax from Universal Beard comes in medium or stiff and I opted for medium, I was at first unsure because it took quite a scrape to get some out but this wax was easy to work with and after a little working between forefinger and thumb it was ready to use. I split the wax over to my other thumb and forefinger and worked it in and then combed my moustache into shape, I’m not one for twisting the ends of my moustache or curling it but if that’s what you like, then this wax is up to the job and there is also that option of ordering the stiff wax. The smell is good, very good but it’s not a strong smell which is good, you wouldn’t want a strong scent right under your nose! My dog also thought it was good and I had to spend the next ten minutes telling him to stop trying to lick my moustache! Universal Beard is located in British Colombia, Canada and they pride themselves on using 100% natural and organic ingredients and their beeswax and some other ingredients are sourced locally on Vancouver Island, all their blends are crafted in-house in small batches. They also produce Beard oil and balm in Cedar Cinnamon roll, Coffee infusion, Fruit loopZ, Peppermint citrus, WoodZy, Neat and near called Tiger, Tiger Ice-cream which is something I had never heard of, apparently in Canada they like an ice cream that is a mix of orange sherbet, vanilla ice cream, and a ribbon of licorice and there I was thinking I was adventurous by liking pistachio ice cream. They also will be selling a Coconut, Coffee & Brown Sugar Body Scrub. Universal beard also offer a bespoke service and you can create your own blend from their current menu which includes anise, basil, bergamot, black pepper, cedar, cinnamon, cinnamon bark, coffee, eucalyptus, frankincense, grapefruit, ginger, lavender, lemon, lime, patchouli, peppermint, pine, red mandarin orange, rosemary, rosewood, sage, sandalwood, tangerine, tea tree, tobacco, vanilla, wintergreen, and ylang ylang.